Homewriting blog Few Know How Good This Is – And Given It’s THAT Good – I Wonder Why? Few Know How Good This Is – And Given It’s THAT Good – I Wonder Why? So I’m working my cotton socks off, and still trying to ‘train’ for my first 50 miler this weekend. Never mind tapering, I’m still building my distances! Jobs are having to be done on the hoof, with shopping carried on the cool-down walk, post carried on the warm-up walk and distances ‘created’ by weaving my way round the local roads in between chores. Multi-tasking continues by combining learning time with runs via podcasts (my new favourite thing) and YouTube interviews. My headphones have been dug out of their hide-away (I never bother with anything when I run normally) and lie around waiting for the next opportunity. Annoyed, not only because I was engrossed in trying to follow what were clearly slides that I couldn’t see but also because I was enjoying having ‘company’ (which is odd as I haven’t wanted anything to interfere with my runs for ages … they’re my escape … haven’t even bothered with music in my ears for any of my ultras), I stabbed at my new icons on the iOS7 upgrade to see if there was anything else I could have coming through my headphones. 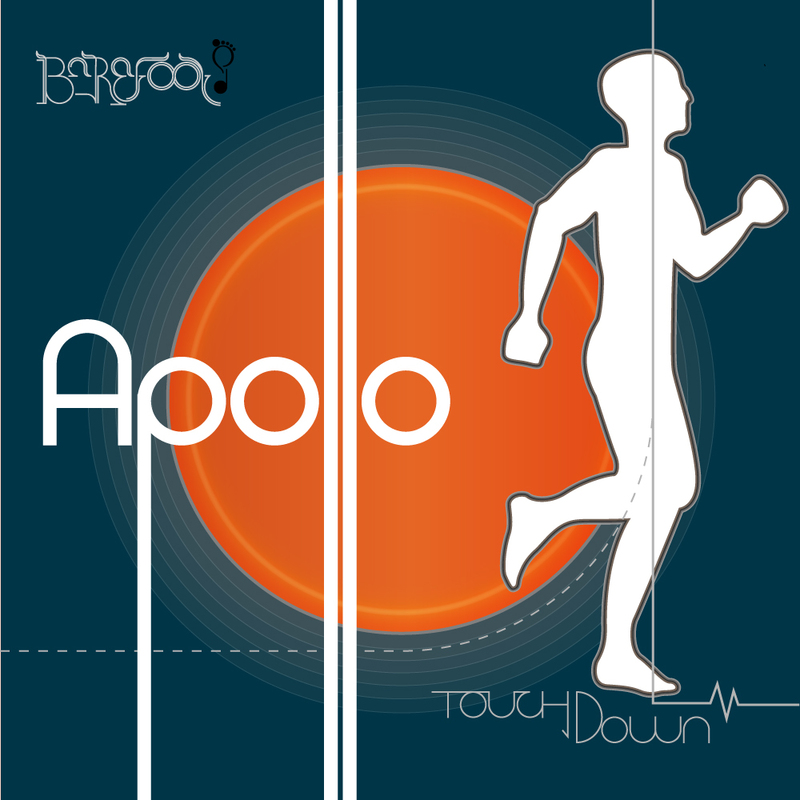 The ‘Music’ icon came up with the lovely blue album cover of the ‘boys’ version of our first Barefoot Audio Apollo album ‘Touchdown’. That was all that was there (!?) so I pressed play. Immediately my dulcet tones started telling me what I already knew – “yes, yes, I wrote it”, I thought crossly to my unaware best ‘radio’ voice! … Kirsty, singer, song-writer, producer … you are a musical GENIUS! By the time I got to check-out I was itching to run again and my head was involuntarily thrusting to the beat, but I was too heavily laden. Reluctantly, I fast-forwarded to ‘Less Is More’ and the surprisingly efficient beat of the cool-down walk. Once more my agreeable (!honestly!) voice calms & surprises me … I love what I’m saying and had forgotten I’d written it. Well – if I’ve forgotten how good it is, what hope for the rest of the world? World? Here’s Barefoot Audio Apollo 1: Sensing Touchdown. It’s not free, but it’s very affordable and really, really good.